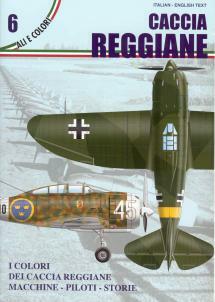 Caproni-Reggiane's lack of success with the Re 2000 and the availability of Daimler Benz engines led the Italian company to develop a new version of its fighter. 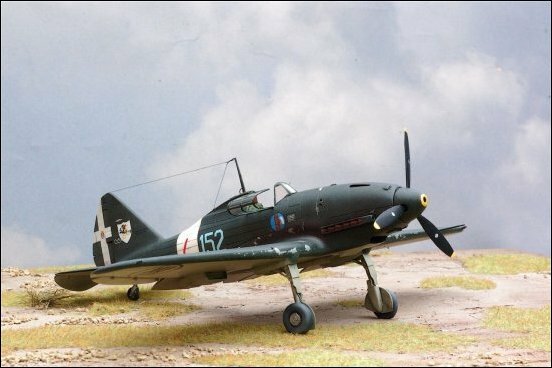 The new aeroplane was a marked improvement, and its over-all performance put it in a class with the excellent Macchi MC.202. However, its operational career was limited. 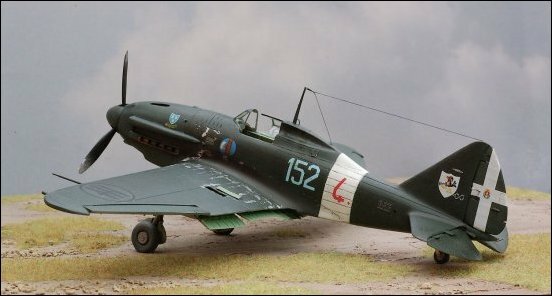 There were delays in putting the finishing touches on the aircraft, production was slow, and engines were scarce (priority was given to the Macchi fighter). 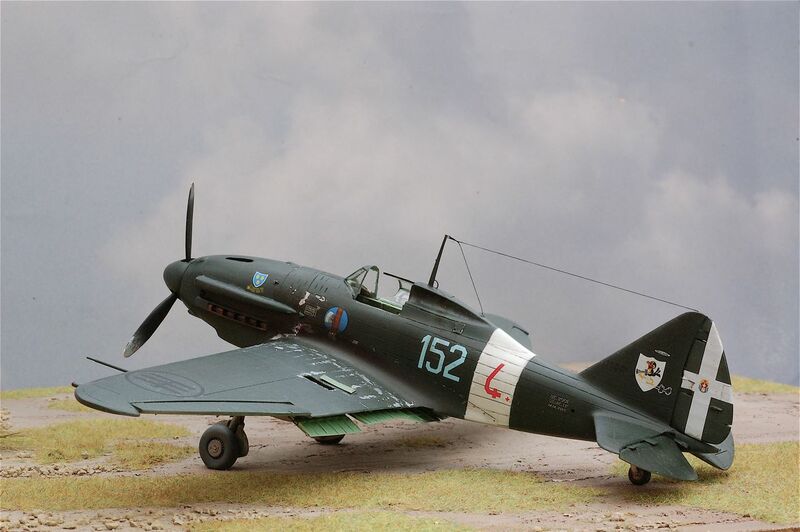 Although the Re 2001 was designed as an interceptor, it was gradually reassigned to fighter bomber and night fighter missions, and in less than two years a total of 237 planes were built in different versions. The Re 2001 prototype first took to the air in July 1940. The designers, Roberto Longhi and Antonio Alessio, adapted the structure of the earlier Re 2000 to the new in-line engine. They remodelled the fuselage but kept the old wings and tail-plane. An initial delay in finishing the aircraft was caused by the authorities' rejection of the built-in fuel tanks. They had raised the same objecction to the Re 2000. Several months went by before the designers came up with a new solution, and built another prototype. 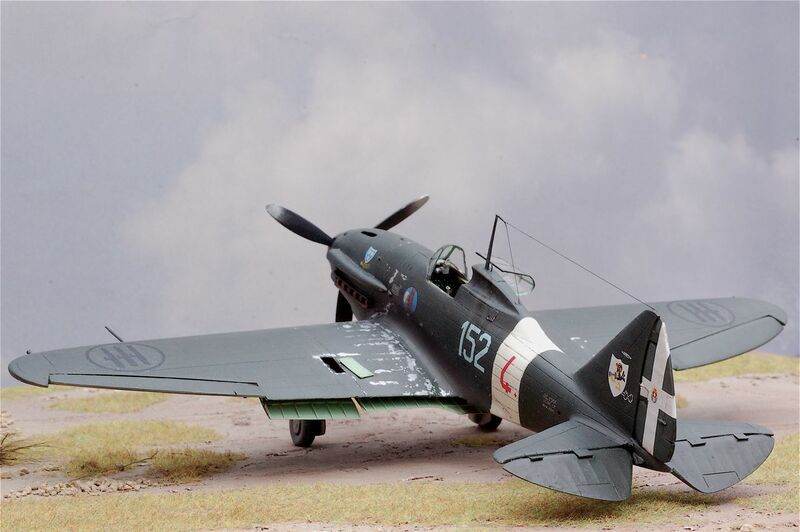 Tests were carried out for some time, and it was June 1941 before the first aeroplanes were delivered. Meanwhile the designers had developed a new version in which the radiators were inside the wings. This seemed to be an extremely promising innovation. The first prototype was altered and called the Re 2001bis. Test flights began in 1941, with Francesco Agello, who had established the world speed record for seaplanes, at the conntrols. This aircraft flew some 40 mph (64 kmh) faster than the standard model, but it never got beyond the prototype stage. 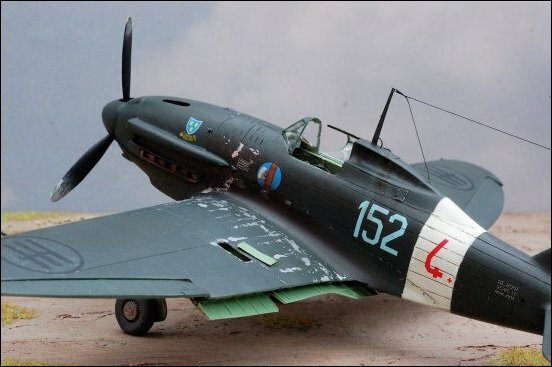 Another variant model developed in 1942 also remained in the prototype stage. Because of the delay in receiving the DB engines, the designers found a temporary alternative power plant in the Isotta Fraschini Delta, an air-cooled engine. 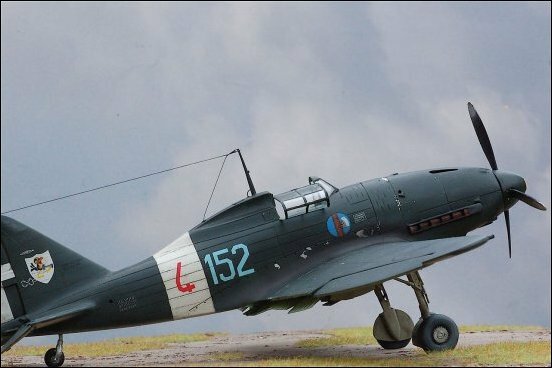 The Re 2001 Delta, as this variant was called, made a series of test flights late in 1942. It crashed in January 1943, and the production order for 100 aircraft was cancelled. Production of the standard Re 2001 proceeded slowly, always limited by the availability of strategic raw materials. About 40 were built in 1941, a little over 100 in 1942, and the rest in the first half of 1943. 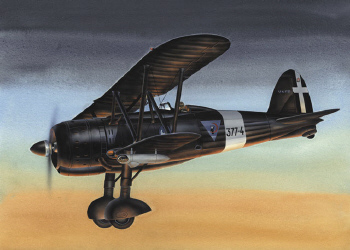 Alongside the original fighter version there appeared the CB model, a fighter bomber, and the CN model, a night fighter. The CB had a belly bomb-rack that could carry a 220 pound (99 kg) bomb or a 550 pound (249 kg) bomb. On occasion the aeroplane carried a 1,400 pound (635 kg) bomb. The CN carried two 20 mm cannons in place of the 7.7 mm machine guns of the standard model. 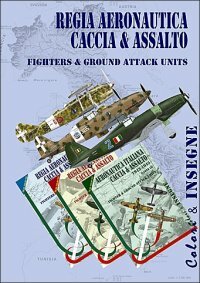 A naval version was also considered, and was to have been carried on board the aircraft carriers Aquila and Sparviero. The Re 2001's operational career began in December 1941, when it was assigned to three squadrons. The aircraft were used chiefly in the Mediterranean and over metropolitan territory as night fighters. After the 1943 armistice there were more Re 2001s with the Allies than with the ANR. 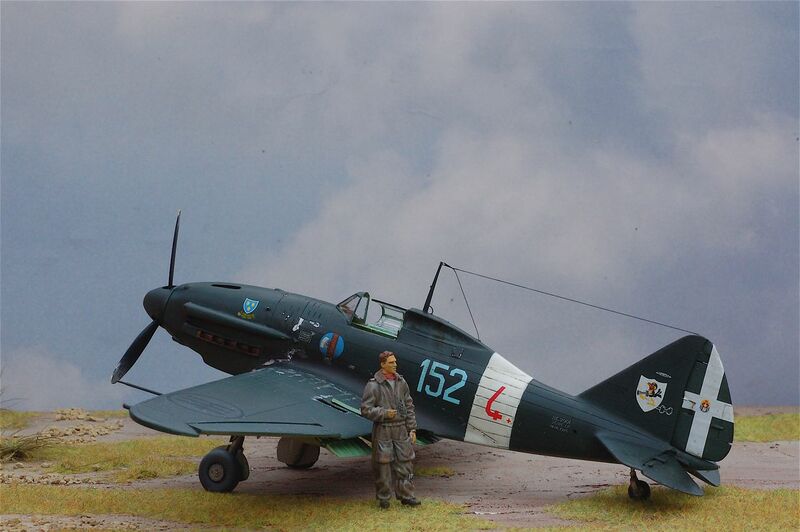 Five aircraft survived the war and remained in servce for a few years. 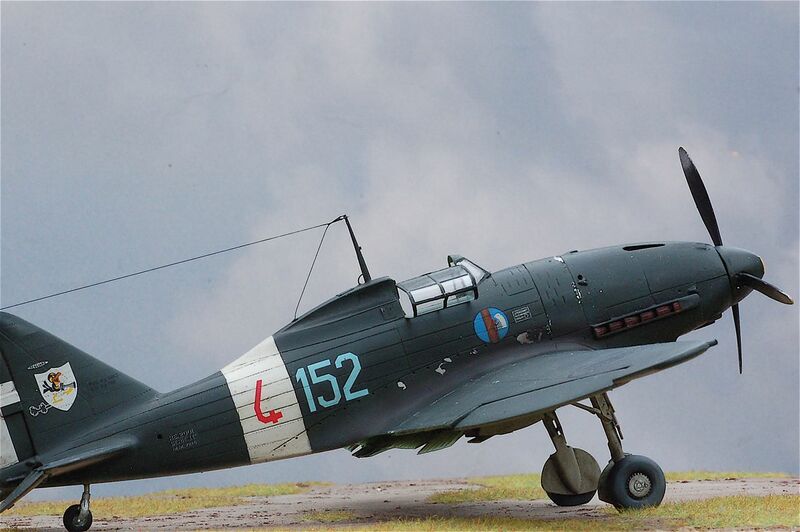 This is the venerable Classic Airframes 1/48 Re.2001 Falco II. 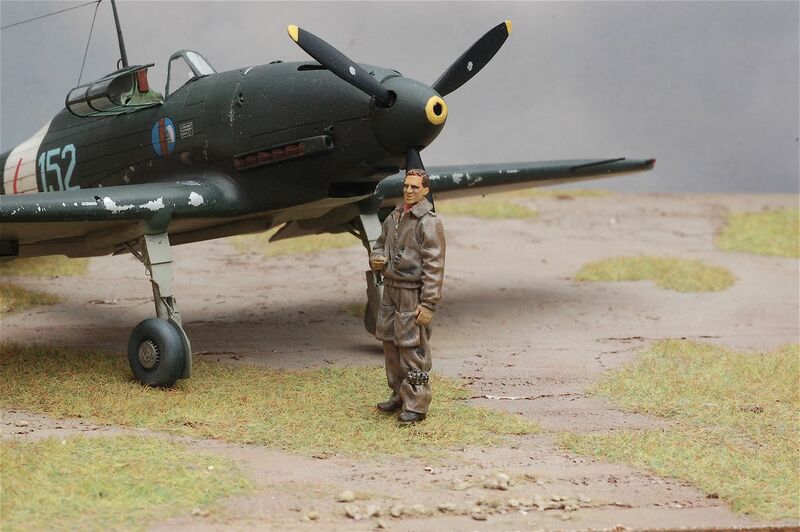 The plane depicted is that of Italian Ace Salvatore Teja. Paints used were Gunze water colors for topside RLM 70 and Mr.Kit Grigio Azzurro Chiaro udersides. 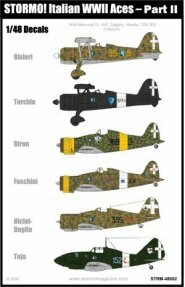 Decals used were Stormo Decals Italian Aces Part II. 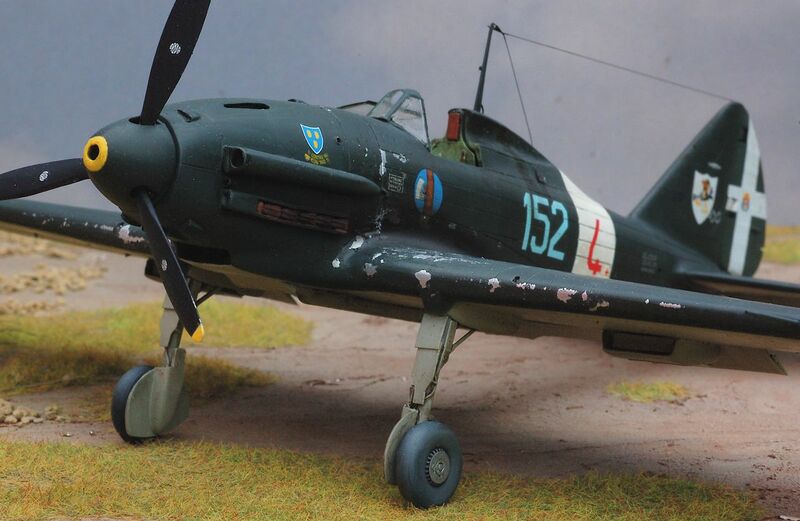 The Classic Airframes RE2001 has been engraved correctly, flaps have been scratch built, one of the wing access to the Breda Safat made open and the panel built from a soda can. The nose muzzles for the MG have been drilled and displayed correctly, and the cockpit scratch built, the seat was taken from a G55 from Special Hobby and sand to shape. The model undercarriage and wheels were from Italian Classic range now OOP, they were a true improvement compared to the kit's ones.